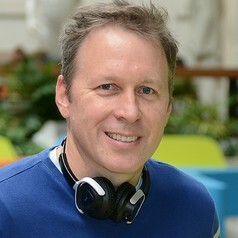 Darin Flynn is Associate Professor and Chair of Linguistics in the School of Languages, Linguistics, Literatures and Cultures at the University of Calgary. He teaches and does research mainly in Indigenous languages from Canada—their analysis, documentation and revitalization—and in phonology—how humans arrange speech sounds into utterances. “Canada”, in G. N. Devy and Geoffrey V. Davis (eds. ), Language, vol. 2 of Key Concepts in Indigenous Studies. New York: Routledge. “Indigenous Languages in Canada”, with Eung-Do Cook, in William O’Grady and John Archibald (eds. ), Contemporary Linguistic Analysis, 9th edn. Toronto: Pearson. “Disentangling Stress and Pitch Accent in Munster Irish”, with Joseph W. Windsor and Stephanie Coward, in William G. Bennett, Lindsay Hracs and Dennis Storoshenko (eds. ), WCCFL 35: Proceedings of the 35th West Coast Conference on Formal Linguistics. Somerville, MA: Cascadilla Press. “Weak Syllable Refitting in Late-Stage Phonological Development”, presented at the 3rd Annual Meeting of the NorthWest Phonetics & Phonology Conference (NoWPhon), Vancouver, BC, May 19–21. “The Phonetics of Prominence of the Word and Phrase in Three Irish Dialects”, with Joseph W. Windsor and Stephanie Coward, presented at the Annual Meeting of the Canadian Linguistic Association, Toronto, ON, May 27–29. “Refillable Syllables in Child English”, presented at the 1st Annual Conference on Child Language Acquisition Research in Alberta (CLARA), Lethbridge, AB, November 24–26. “On the Development of North Wakashan”, with Emmon Bach (†), presented at the Society for the Study of the Indigenous Languages of the Americas, Washington, DC, January 7–10. “The Black Vernacular versus a Cracker’s Knack for Verses”, in Scott F. Parker (ed. ), Eminem and Rap, Poetry, Race: Essays. Jefferson, NC: McFarland, 65−88.